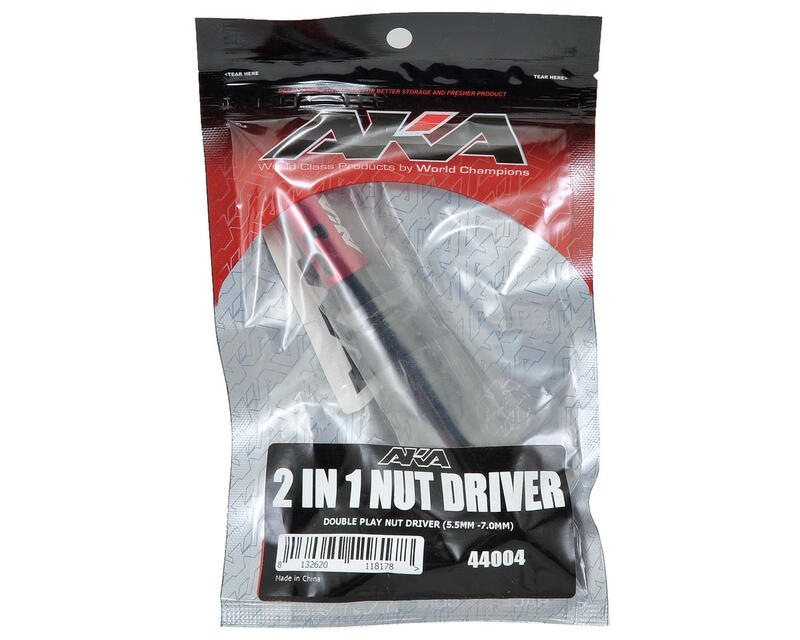 This is the AKA Racing Double Play Nut Driver, with a 5.5mm and 7mm driver. The Double Play nut driver creatively lightens your toolbox by putting a 7mm and 5.5mm wrench in one! The 7mm driver fits metric wheel nuts found on most popular 1/10 buggies and short course trucks, while the 5mm driver is common for shock nuts and most nuts on metric 1/8 cars. The machined aluminum handle and sleeve provides weight reduction over standard steel tools with the added durability of a hard anodized finish. I really like this little nut driver. It's extremely convenient and easy to swap between 7mm and 5.5mm (which are the most common sizes on metric 1/10 scale cars). I've always used a Craftsman 5/16"-drive nut driver and swapped out whatever socket size I need. 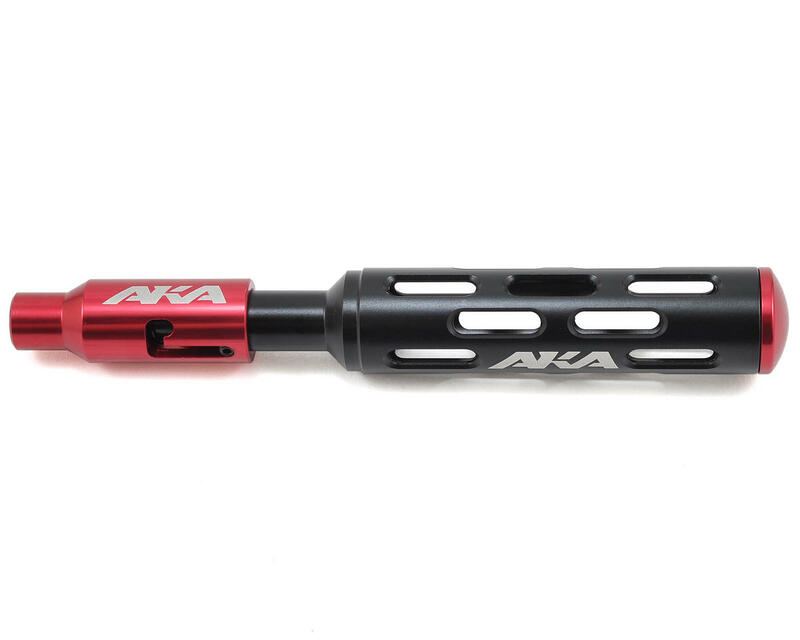 This AKA driver, while being a little expensive makes things a lot faster and more convenient. It's relatively lightweight and the spring loaded action that changes the nut size is fluid and strong. My only complaint is the handle size. I'd like it to be a bit larger. When I'm pulling off serrated wheel nuts I'd like to be able to get more torque on the driver and a fatter handle would help. Otherwise this is a really nice driver that does the work of two tools in one. Plus it looks cool.